Home > Press Release > University of St. Augustine for Health Sciences Presents Exercise Strategies and Progression for Musculoskeletal Dysfunction Continuing Professional Education Seminars Across the U.S.
St. Augustine, FL – April 26, 2017 – The University of St. Augustine Health Sciences (USAHS), a leading graduate institution that emphasizes health science education through innovative classroom education, is pleased to announce that the institution will present a continuing professional education seminar, “Exercise Strategies and Progression for Musculoskeletal Dysfunction,” for physical and occupational therapists, therapist assistants and athletic trainers looking for continuing education units, at multiple locations throughout the U.S. This two-day seminar covers exercise strategies for a variety of musculoskeletal conditions, commonly encountered in the outpatient orthopedic clinic, affecting the spine and extremities. The exercise interventions and progressions proposed are grounded in current research while maintaining clinical applicability. Several classic methods in which patents are progressed and prescribed exercises will be challenged with contemporary models. Instruction will include lecture, video and lab demonstration of techniques along with cases examples. The seminar also contains a lab component where participants will be able to perform, instruct, critique and modify exercise techniques. The Exercise Strategies and Progression for Musculoskeletal Dysfunction seminar will be offered on the following dates and locations. The two day seminar runs from 8:30 a.m. – 5:30 p.m. on day one and from 8:00 a.m.-4:45 p.m. on day two. 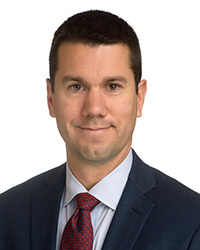 Dr. Eric Chaconas is an assistant program director for the USAHS Department of Physical Therapy and an assistant professor in the Doctor of Physical Therapy (DPT) program. Prior to joining USAHS, he worked as a physical therapist in both the outpatient orthopaedic and home health settings. He is a member of the American Physical Therapy Association (APTA), as well as its Florida chapter (the FPTA), the American Academy of Orthopaedic Manual Physical Therapists (AAOMPT), and the National Strength and Conditioning Association (NSCA). He serves as vice speaker of the FPTA’s Assembly of Representatives’ Board of Directors, and formerly served as chair of the FPTA’s Government Affairs Committee and as a FPTA federal affairs liaison. Dr. Chaconas regularly volunteers, is currently on the Good Samaritan Health Centers’ Wildflower Clinic Board of Directors and volunteers at the Pink up the Pace breast cancer fundraising organization. He has also served as a volunteer physical therapist for the Good Samaritan Health Centers’ free medical clinic. He was honored with the FPTA’s Rick Shutes Committee Service Award in 2011 and the APTA’s Emerging Leader Award in 2010. He is a 2008 AAOMPT Fellow, completed a Manual Therapy Certification (MTC) through the university in 2006, and an Orthopaedic Manual Physical Therapy Fellowship in 2008. Dr. Chaconas is currently engaged in both research and clinical practice with an emphasis on orthopaedic and sports rehabilitation. For more information on an upcoming seminar or to register, visit https://usa-cpe.edubrite.com. To learn more about this seminar, to speak with a USAHS faculty member or for more information on USAHS, please contact Rachael Lighty at [email protected] or 410.218.6055.